Mantracourt of Exeter has launched a new, upgraded version of its T24 wireless telemetry sensor system for multiple data acquisition in real time. The latest improvements include a 4x increase in transmission range, improved security features and smarter diagnostics. 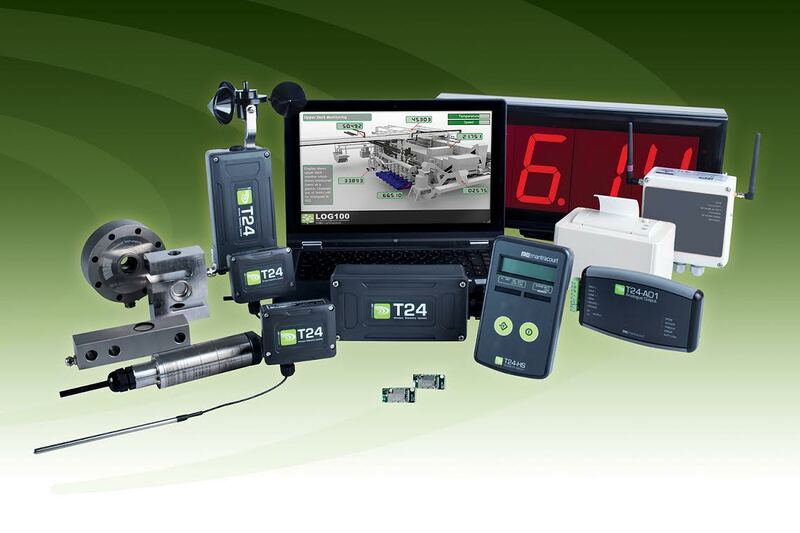 Listening to the needs of OEMs and integrators who require a system designed to suit the many and varied applications they encounter, modularity is the key feature of the T24: it can easily replace wired data collection systems, reducing both installation and maintenance cost and complexity. Latest upgrades include an increase in transmission range, allowing the system to transmit data up to 800 m (1/2 mile), far exceeding the range of other systems on the market. For added security, always a concern with wireless systems, Mantracourt has improved the existing toolkit software to enable users to assign security keys to the system and have also improved functionality to allow smarter diagnostics. New features include improved monitoring of the channels and as well as the ability to check radio link quality, execute commands and view and alter parameters. Engineers at Mantracourt have also redesigned the integrated radio module and antennae to improve signal strength and integrity resulting in improved performance and coverage in the challenging environments where the systems are often used. The system comprises a range of transmitters, interfaces, displays and output modules that can be simply and easily configured to suit individual applications. The transmitter modules have been designed to collect data from a huge range of industrial sensors including load, pressure, torque, strain, temperature, pulse, potentiometer and 4-20 mA/0-10 V conditioned sensors. The T24 still offers the original exceptional performance, including high measurement/low noise electronics, long battery life of up to 5 years and proprietary license-free 2.4 GHz DSSS radio technology. To further add to the versatility of T24, Mantracourt is also providing free data logging and visualisation software. This allows users to log up to 100 channels and build visual mapping displays. Alarms can be set that can indicate under and over range and can alert users to loss in communication, low battery and error reports. In recognition that we now work in an increasingly mobile world, Mantracourt has also included a built in web server that provides a summary view page to other computers, tablets and smart phones, both Apple and Android. See the Mantracourt T24 system on http://www.mantracourt.com. Pulsar Process Measurement have supplied non-contacting ultrasonic volume measurement equipment with associated remote plant mimic software to help solve an issue for Northern Rail at three sites; their Newton Heath LMD (Light Maintenance Depot) near Manchester, Blackpool LMD and Barrow LMD, allowing them to control the ordering, delivery and usage of fuel more efficiently. Northern Rail’s contractor Austin-Lenika, who were engaged in a wider project on site, had identified that the existing level indicators were not suitable for the application and were, therefore, not reading the level correctly. Austin-Lenika approached Pulsar for a solution. They specified that new equipment should provide a measurement of the volume of fuel in the bulk tanks with a target of ±1% accuracy, allowing staff on site to monitor fuel usage and transfer and pinpoint the optimum time to re-order fuel. They also wanted to have both local display of level on the storage tanks and to be able to remotely monitor levels across the entire tank farm of eight fuel vessels, plus three additional bulk tanks. Pulsar supplied Ultra 3 non-contacting ultrasonic level measurement controllers with associated dB series transducers. The transducers were mounted into flanges at the top of the fuel tanks, and operate on a ‘time of flight’ principle, an ultrasonic signal reflecting back to the transducer from the surface of the fuel. 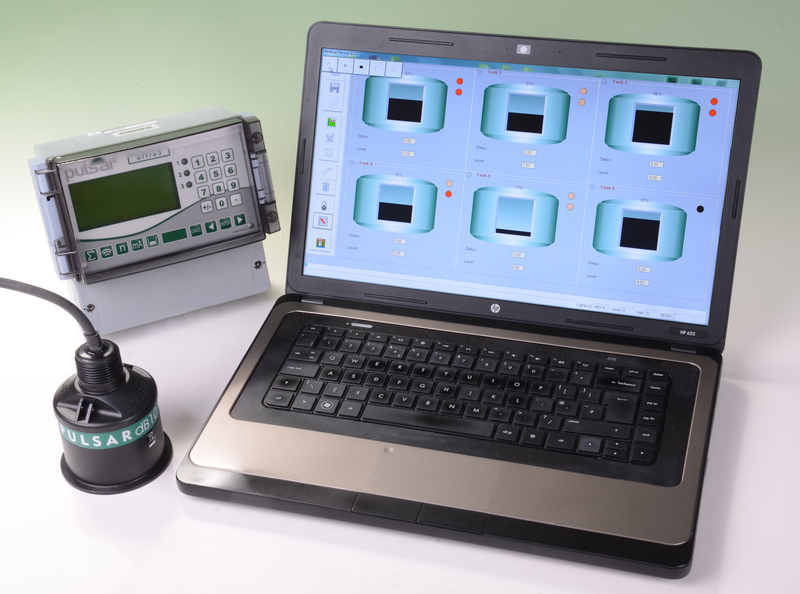 The measurement is reliable and accurate, with sophisticated signal processing by Pulsar’s dedicated DATEM software system. In addition, the Pulsar Ultra Controller can calculate volume based on almost any standard tank shape, taking the tank dimensions and making the calculations necessary to convert them into the volume of fuel in the tank. Pulsar also supplied UltraScan software, which uses the RS485 Modbus output of the Ultra to provide a screen display of both levels and alarms. UltraScan can operate either on a site basis or can bring together measurements from a variety of sites. Staff at Northern Rail are using the system very effectively. Austin-Lenika tested the system by comparing delivered fuel from a tanker to measured levels from the Pulsar system, finding a variance from a 6000 litre delivery of ‘within 60 litres’, achieving the ±1% target. Keith Taylor, Vice President of Licensing and Acquisitions for InventionShare, has announced that InventionShare is now looking for licensing partners to license ‘Circuit Seed’ circuit designs as an alternative to traditional low power analog devices. Taylor said that traditional analog devices can be made to function at very low power levels, however, there are many short comings with these devices as these circuits are complicated and difficult to design and manufacture. They require a large area with matched pairs and current mirrors while they use very large transistors. They will generally not work on the small sub 40nm integrated circuits where analog IC process extensions do not exist or there is sufficient voltage swings available with power supplies in the sub 1-volt range. He also suggested that most circuits are also slow, susceptible to parametric changes and higher noise impacting accuracy, yield and performance. They generally have insufficient dynamic analog signal swings and operate much slower than digital devices they are associated with. These analog circuits are designed for specific narrow purposes and manufacturers of these devices often need a large product family due to the limited performance and frequency ranges. In contrast, Circuit Seed circuits will operate down to less than 0.1V using a 100% digital process. The circuit designs are much simpler and do not require matched pairs or current mirrors and will function on 40nm and smaller Integrated Circuits. The overall circuits are also extremely insensitive to parametric changes making precision designs without precision parts a reality. These circuits also run at logic speed, are self-biasing, and are not subject to parametric changes. They generally work over a very large frequency range, sensitivity, and accuracy reducing the number of designs necessary by supporting a wide range of applications. InventionShare is now looking for companies that are currently using traditional analog design processes and looking to for a better design, lower cost process for analog circuits. InventionShare provides inventors with funding, talent, expert processes to accelerate innovation, patent creation and monetization. Respecting that each of our inventors is the architect and the mastermind behind the invention, we work with our inventors in a professional manner as partners helping them take their inventions to market.